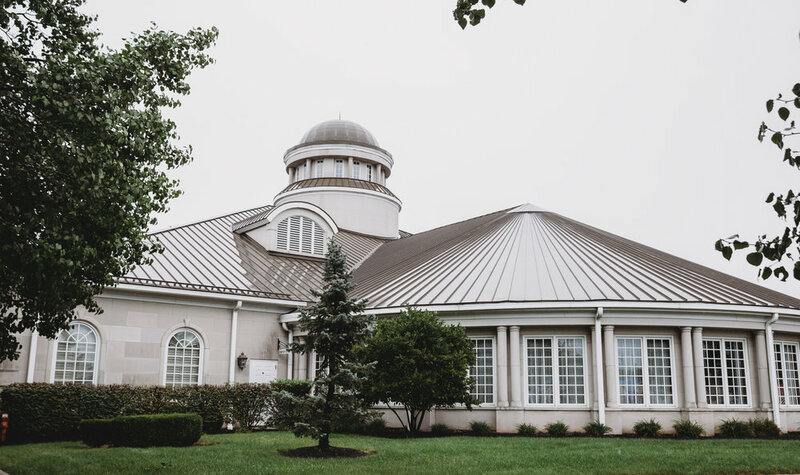 The rain kept us mostly inside, but that doesn’t really matter when you’re getting married at a gorgeous venue like The Community Life Center in Indianapolis,IN. 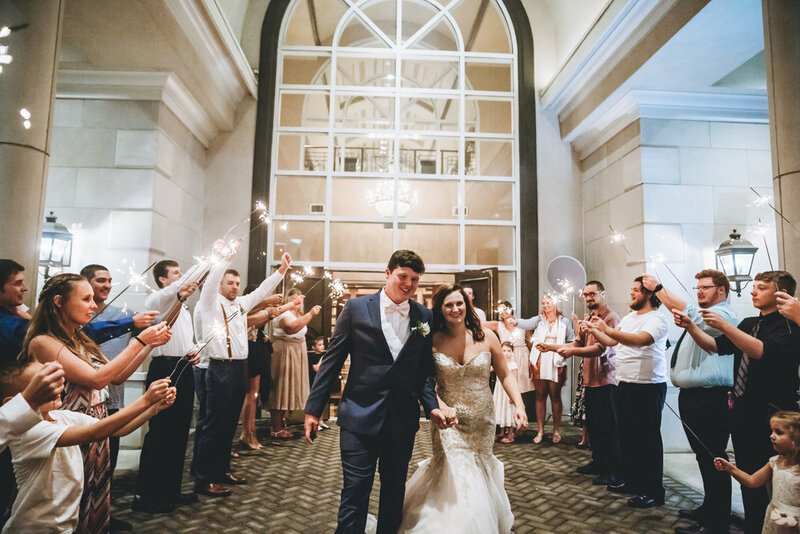 The venue has a traditional, formal elegant ballroom feel with oversized crystal chandeliers and giant windows that let the light pour in. 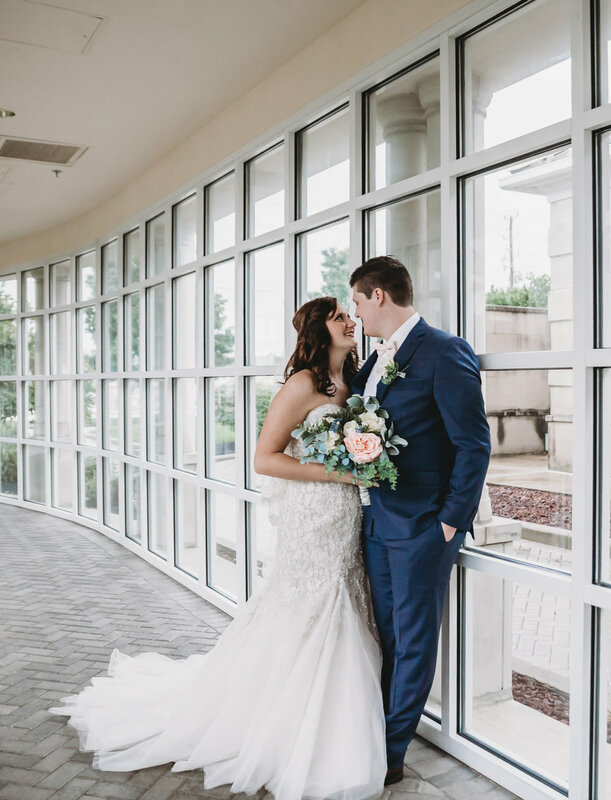 The couple’s romantic navy blue and blush color palette paired perfectly with the gold accents on the tables and in the venue. 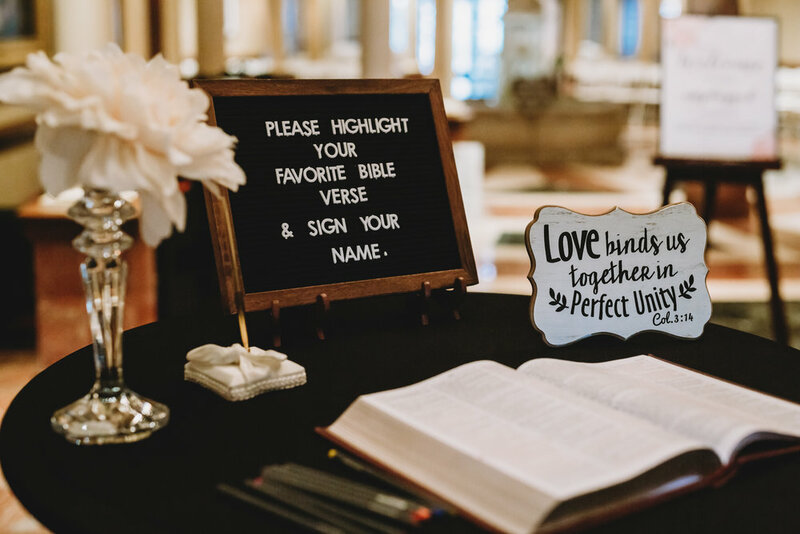 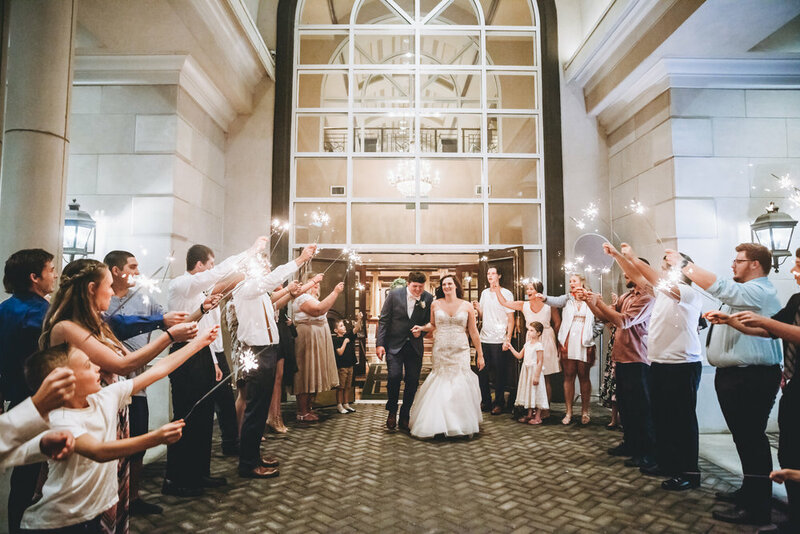 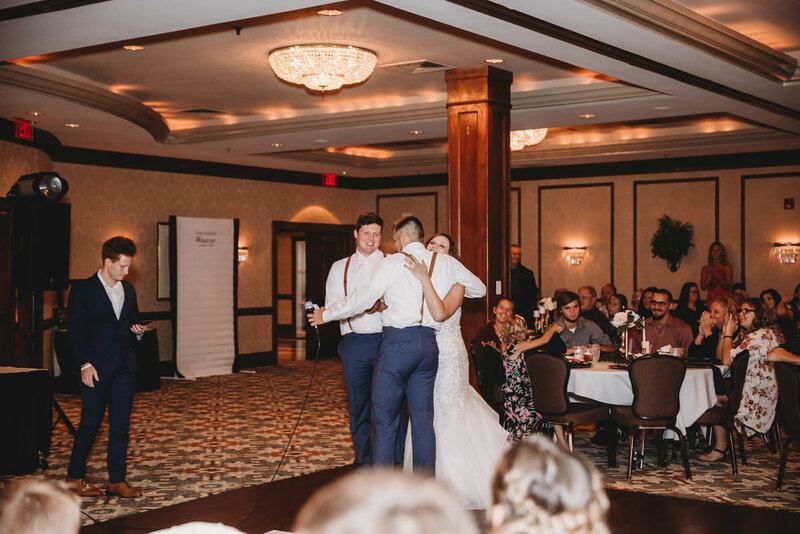 Guests were asked to sign in picking their favorite scripture, watched the couple in a moving tree planting ceremony, and sent the couple off to start their life together with giant sparklers. 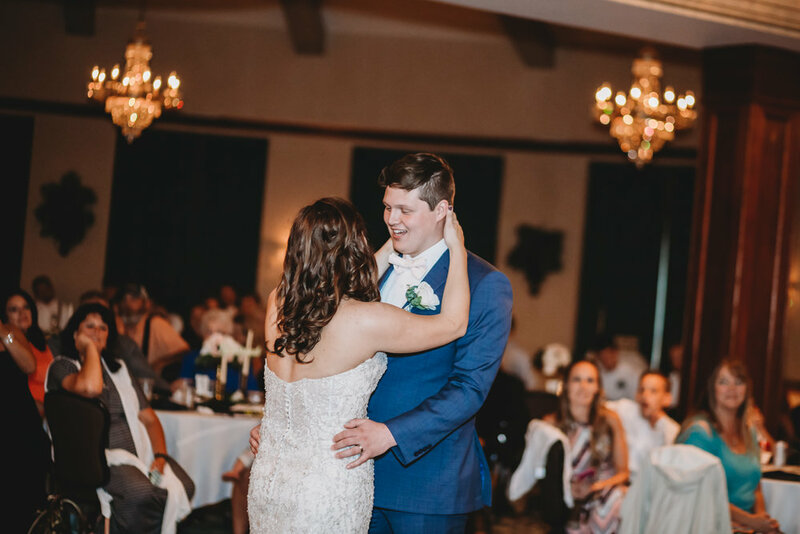 Congratulations, Lane & Kayla! 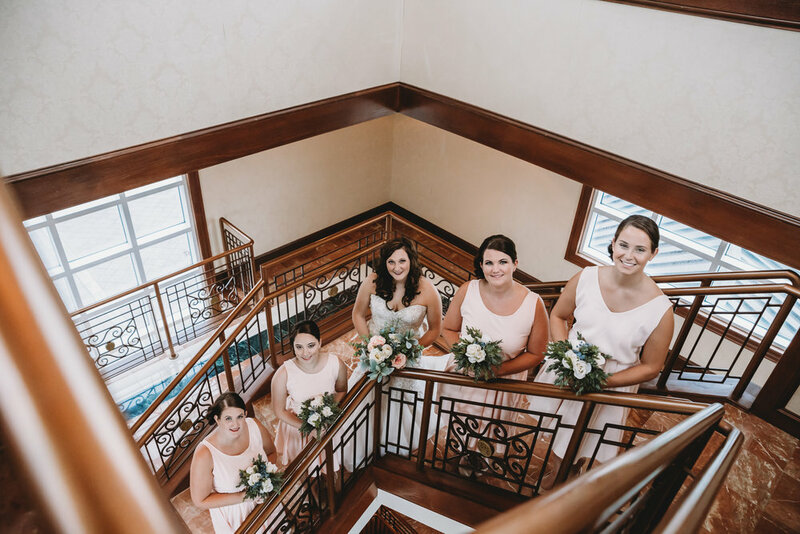 Thanks for choosing BMP to photograph your wedding day!